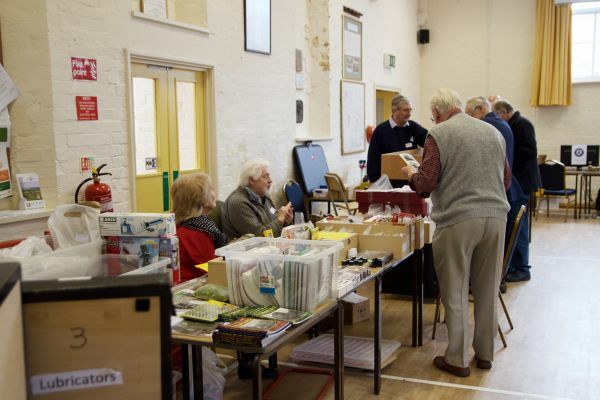 Rob Thompson first organised a spring meeting for the S7 Group at his local village hall nine years ago. 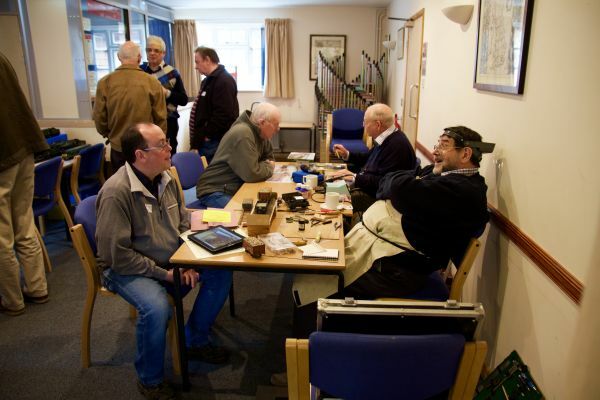 The meetings have always been friendly affairs, with copious refreshments available (provided by Rob’s wife April), places to sit and natter, with layouts, demonstrators and trade support. The meeting on 16 April, sadly, was the last one. Rob has accepted that attendances had been tending to fall away over the past couple of years and, with a potential change of domestic situation, he had decided to draw the event to a close. Nevertheless, and despite the somewhat appalling weather and accidents on nearby roads, members gathered from many parts for a final fling! Laurie Griffin, Peter Hunt’s Perfect Miniatures, C&L Finescale and the S7 Stores gave trade support. The traditional pairing of Alan Benson and David Nicholson occupied one side of the smaller room, showing tools and techniques and wagon building, while Colin Dowling and John Borkowski showed their wares on the other. 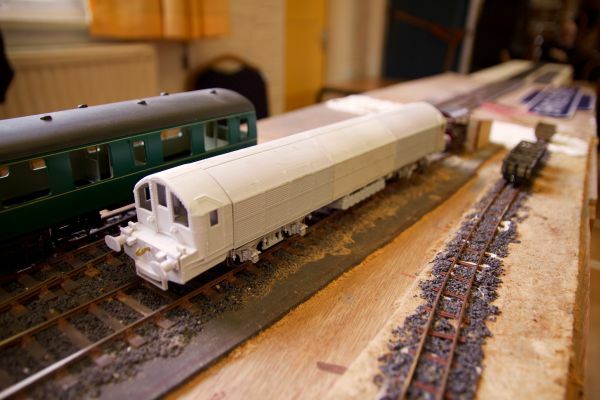 There was also a display of 3D printed buffer stops and track details, and a wireless battery-powered control system entertained onlookers with a loco trundling, devoid of rails, along the hall floor! Two layouts under construction allowed places for testing stock and discussing various aspects of modelling. As always a pleasant and friendly meeting, and one which will be missed in the calendar. Let us hope a new venue and organiser will come forward to fill the void.